The 26th Century • G1 Transformers: Virtual Season 4: 1st ep & intro posted! 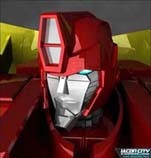 G1 Transformers: Virtual Season 4: 1st ep & intro posted! Post subject: G1 Transformers: Virtual Season 4: 1st ep & intro posted! Check the Episode Guide page for both the virtual season 4 fanfic episode, as well as its opening sequence video file (for download). Our site's index page also has two new polls for rating the virtual episode and the intro. Please let us know what you think, and if you'd like to participate. Thanks.